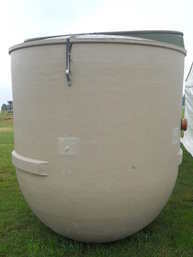 Packaged sewage treatment plants are self-contained tanks which provide a modern alternative to septic tank systems for areas not serviced by "mains drainage". Packaged sewage treatment plants promote the growth of Aerobic bacteria and as a result 'treat' the receiving sewage producing an effluent suitable for discharge to a natural watercourse or ground, subject to the Regulating Authority Approval. 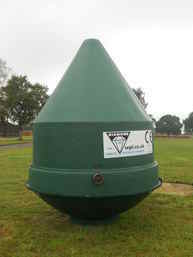 The first packaged sewage treatment plant installed in the UK was a Oxigest Activated Sludge plant installed in Scoland in 1961 to serve a school. The Oxigest sewage treatment plant was open-topped and had two chambers using aeration followed by final settlement. There was a walkway spanning the top of the tank where air blowers and control panel were located. Under the walkway was an air manifold from which diffusers were suspended to the base of the first chamber. The Oxigest sewage treatment systems were however, susepitable to shock hydraulic loads. The first small-scale packaged sewage treatment plant was an RBC (Rotating Biological Contractor) system. After this, media based packaged sewage treatment plants were introduced which initially used free draining Biological Filters over which the settled sewage was passed. Following these systems various Activated Sludge and SAF (Submerged Aerated Filter) packaged sewage treatment plants were introduced. There has been substantial advances in the design and manufacture of packaged sewage treatment plants with the majority of plants being manufactured from GRP or Polypropylene. The majority of systems are also installed below ground having minimal impact on surroundings. 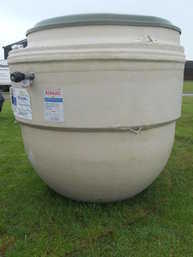 When choosing the size of packaged sewage treatment plant to be installed the British Water 'Flows and Loads 3' Code of Practice should be used. The Environment Agency supports the use of this Code of Practice. This Code of Practice provides a table of loadings which allows the total daily sewage load from properties to be calculated and the size of sewage treatment plant to be installed. Click here for further information. The majority of packaged sewage treatment plants require an electrical supply to power either an air blower or mechanical disks or pumps. On the majority of packaged plants which use an air blower there are no mechanical or electrical components within the underground treatment zone, thus reducing future maintenance costs. 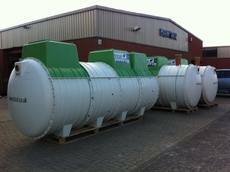 Click here to view a domestic packaged sewage treatment plant Case Study.